A few months back we reported on a mass of negative SEO extortion emails being sent around. We asked our audience if these negative SEO extortion emails scare them and truth is, over 50% said they do on some level. 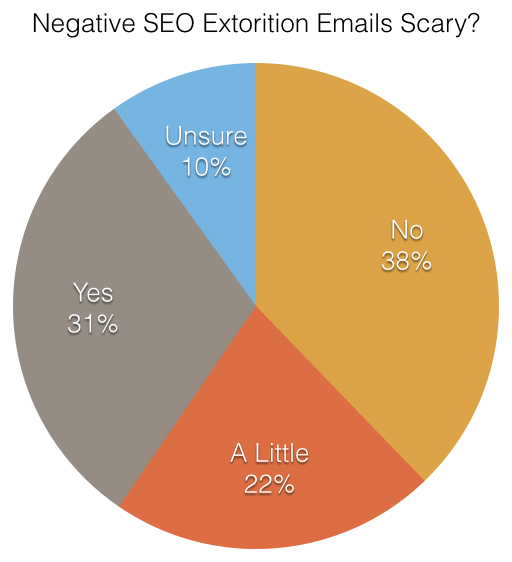 We asked Do Negative SEO Extortion Emails Scare You?